Did you know that by filtering your motor oil or hydraulic lubricant, you can substantially increase its lifespan? 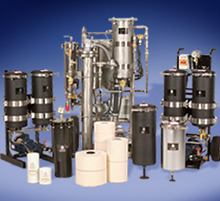 Texford Battery Co. is the premier supplier of oil filtration systems in Houston, TX. 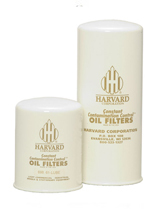 We sell Harvard Corporation Constant Contamination Control Systems. These innovative devices remove water and other harmful contaminants from your lubricant, extending its usability and enhancing the performance and lifespan of your gear. Oil filtration systems have a wide range of potential applications, from aviation to mining. 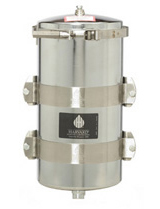 Harvard filter housings come in a wide range of sizes and shapes for your convenience. You can easily select the capacity, flow rate and dimensions that suit you and your application the best. Moisture, glycol and other contaminants are removed from your oil or hydraulic lubricant by Harvard Constant Contamination Control filters. We sell the filter elements you need to keep your lubricant running smoothly. Do you need a portable solution for your oil filtration? 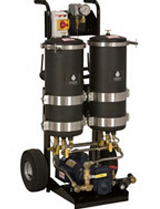 Oil and hydraulic filter carts provide you with an easy way to move your filtration capabilities from site to site! These machines can remove contaminants to a single micron. If you are ready to invest in a Constant Contamination Control Lubricant System in Houston, TX, we can help you install it! We offer installations, set-ups and services for many filtration products. We are proud to carry Harvard Corporation’s Constant Contamination Control System. You can trust Harvard Corporation’s innovation and Texford Battery Co.’s decades-long experience to provide your gear with the best lubrication possible. If you are wondering how our unique and innovative filtration systems can advance your business, contact us today at 713-222-0125. We can help you extend the lifespans of both your gear and your lubricant!